From Will Smith and Odell Beckham Jr. to even the family dog, it seems like everyone has given the #InMyFeelings dance challenge a try. The #InMyFeelings challenge phenomenon started this June when Instagram user and American comedian @theshiggyshow posted a video of himself dancing or “doing the shiggy” as he calls it to the newly released Drake hit. And now a Canadian cop from Halifax is the latest person to go viral dancing to Drake’s hit Scorpion track. 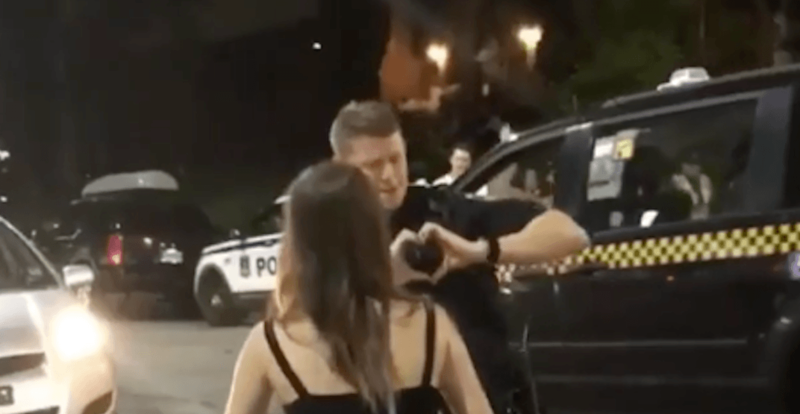 Over the weekend a video began circulating on social media featuring Halifax Regional Police officer Jordan Sheppard dancing in the middle of the crowded intersection that houses Halifax’s Pizza Corner. While he’s no Will Smith, Sheppard definitely knows a thing or two about doing the shiggy. Other videos posted on social media this week show Sheppard breaking it down to Silento’s Watch Me (Whip/Nae Nae) in the middle of a crowd at the popular post-bar hang out. On Thursday, Drake dropped the music video for In My Feelings which features Shiggy, along with footage of other stars completing the challenge including DJ Khaled, Will Smith and the cast of Stranger Things to name a few. You can check out the In My Feelings video below.